Start your review of Tim Florek. Don Wheaton Chevrolet GMC Buick Cadillac Ltd.
From finance to sales my experience with the crew at Don Wheaton was excellent. Working with salesman Husan Tahir was very easy to work with. And, the finance department was very helpful with finding a good rate. Kudos to Nik Jr, Troy Sorge, Tim Florek and the best ever salesman I ever had Husan Tahir. Thank you for the review Paul! It was a pleasure working with you and we hope to do so again! Husan was our salesman and he was fantastic,he was friendly and listened to our needs. We had a great experience and look forward to driving our new truck. Thank you for the 5-star review! We hope you enjoy your new truck. Thank you for the 5-star review Jason, it was a pleasure working with you! "This was the smoothest car purchase for me to date!" Ethan was incredible to work with, took time to explain everything to me, made sure my experience was superior. I feel like I left with exactly what I wanted in a vehicle without any of the usual frustration associated with car shopping. Thank you for the great review Dena, we enjoyed working with you and hope you enjoy your new vehicle! "Good choice for buying used"
Very detailed mechanical inspection report, service technician personally spoke with me regarding any concerns I had with the vehicle. Friendly and very patient salesman answered all my questions, even during my third visit in to the dealership. Ended up walking away with a great used truck for a fair price. Thank you for the great review! Enjoy your new truck! Great used truck buying experience. Friendly and awesome service from start to finish. I would definitely shop there again for a vehicle. And parts and service too. Thank you for the 5-star review! We hope to work with you again in the future. 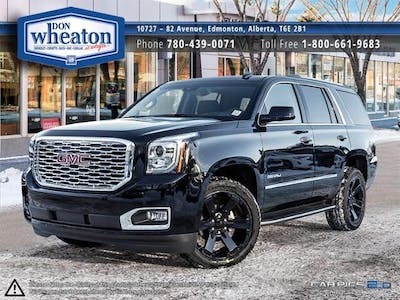 We had a smooth experience dealing with the Don Wheaton crew in the purchase of our new Yukon. Ethan was friendly and professional and didn’t use any of the pushy sales tactics that we’ve experienced at ither dealerships. Thank you for the great review! We hope you enjoy your new Yukon! 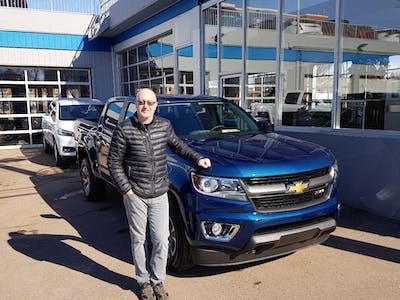 Just took delivery of my new 2019 Chevrolet Colorado Z71 and have to give kudos to Shawn MacDougall and the whole team at Don Wheaton for a great sales experience - thanks! My experience at Don Wheaton Chev was great. Corey helped me find the truck I was looking for. Tim did a great job explaining the financing. Nick addressed my concerns with the new truck immediately. "That was a pleasure! " That was an awesome experience! We had few problems (from my side) but because of how professional those guys are, everything went super smooth! 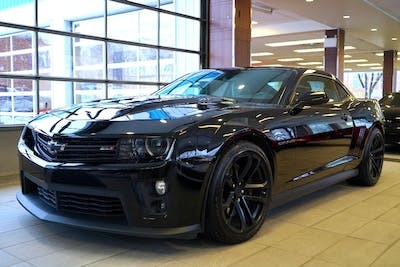 Now I'm the happiest owner of Camaro ZL1! If you looking for great car with great offer Don Wheaton is the right place! So once again thanks to Shawn and Tim (super chill guys) for making my dream come true! I see y'all i a bit! Thank you for the awesome review, we hope you enjoy your ZL1!